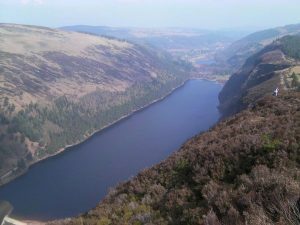 Get your walking shoes out because Lakers’ Annual Glendalough Walk will take place on Saturday 13th October 2018. Walk A Medium/Difficult The Spinc: Hill Walk. 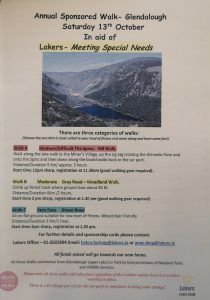 Start time 12pm sharp, registration at 11.30am (good walking gear required). Walk B Moderate Grey Road – Woodland Walk. Climb up forest track where ground rises about 90 M. Distance/Duration 4Km /2 hours. All on flat ground suitable for low level of fitness. Wheelchair Friendly. Distance/Duration 3 Km/1 hour. Start time 2pm sharp, registration at 1.30 pm.